This list provides an overview of books concerning all facets of the business of music and the history of the industry. 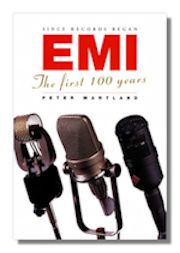 Since Records Began: EMI: The First 100 Years. Peter Martland. Amadeus Press. 1997. ISBN 1574670336 (hardcover). Inside the Music Industry: Creativity, Process, and Business. Michael Fink. Schirmer. 1996. ISBN 0028707648 (paperback). Hit Men: Power Brokers & Fast Money Inside the Music Business. Fredric Dannen, Erroll McDonald (Editor). Vintage Books. 1991. ISBN 0679730613 (paperback). This controversial exposé of the dark underbelly of the music business primarily concerns itself with popular music, but much of what goes on behind the scenes is common to the classical music world as well. All You Need to Know About the Music Business. Donald S. Passman. Simon & Schuster. 1997. ISBN 0684836009 (hardcover). Passman is an entertainment lawyer who writes authoritatively on the ins and outs of the financial and legal aspects of the music business. Breaking into the Music Business. Alan H. Siegel. Simon & Schuster. 1991. ISBN 0671729071 (paperback). Making It in the Music Business: A Business and Legal Guide for Songwriters and Performers. Lee Wilson. Plume. 1995. ISBN 0452268486 (paperback). Up-to-date handbook on the fundamentals of music law and business practices bridges the gap between the novice and the seasoned pro. Discusses the types of contracts composers and performers are likely to encounter, gives helpful negotiation pointers, and includes a glossary of technical and legal terms. A Manual of Musical Copyright Law For the Use of Music-Publishers and Artists, and of the Legal Profession. Edward Cutler. Fred B Rothman & Co. 1996 ISBN 0837720583 (hardcover). The Music Business-A Legal Perspective. Peter Muller. Greenwood Publishing. 1993. ISBN 0899307027 (hardcover). Provides a comprehensive introduction to the major agreements prevalent in the recording and music entertainment industry, including the basics of the personal management and agency agreement and the types of agreements a successful musician would encounter recording and performance rights, film, commercials, tours, and personal appearances. Music, Money, and Success: The Insider's Guide to the Music Industry. Jeffrey Brabec, Todd Brabec. Macmillan Publishers. 1994. ISBN 002870133X (hardcover). The story of how the billion-dollar world of music works, including the secrets of the music business that have made fortunes for the superstars. 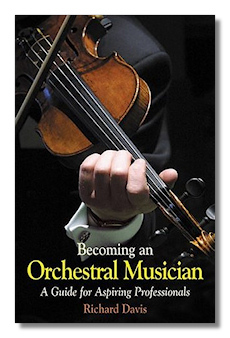 Becoming an Orchestral Musician: A Guide for Aspiring Professionals. Richard Davis. Giles de la Mare. 2004. ISBN 1900357232 (paperback). Becoming an Orchestral Musician covers such crucial topics as music colleges versus universities; auditioning; the secrets of ensemble playing and intonation; conductors; the orchestra; performing philosophies; and strategies for success. The matter of how to explore and adapt one's musical psyche, the pitfalls of a career in music, and the highs and lows of performing are also discussed, and the history, mythology, and science of music-making. Invaluable reading for all practicing and aspiring orchestral musicians as well as parents of budding instrumentalists. Richard Davis is Principal Flute of the BBC Philharmonic and Senior Lecturer and orchestral coach at the Royal Northern College of Music. This Business of Artist Management. Xavier M. Frascogna, Jr., H. Lee Hetherington (contributor). Watson-Guptill Publications. 1997. ISBN 0823077055 (hardcover). Authoritative, standard reference on artist management in the music industry. Formerly titled Successful Artist Management. Professional and aspiring managers and career-minded performers will find guidance on topics such as setting up the artist's career plan, image formation, choosing attorneys and business advisors, and handling success and money management. All Area Access: Personal Management for Unsigned Musicians. Marc Davison, Dan Weinstein (illustrator). Hal Leonard Publishing. 1997. ISBN 0793581346 (paperback). This practical insider's view, written by a longtime artist's agent, includes sample contracts, riders, accounting forms, merchandising forms, advance booking forms, spreedsheets, tour reports and other daily formats as well as tips and techniques for managing ones own music career.